M&R Termite Solutions is a full-service pest control company specialised in eliminating any type of pest from its root. Our fast and reliable service will make sure that your business or home is protected from invading pests in an effective manner. If you suspect that your home is infested, it is wise to have our Specialist Michael to conduct a thorough pest inspection and provide effective pest treatment to exterminate those unwanted guests. Michael has lived locally for over 30 years, with over 17 years experience in pest control services. 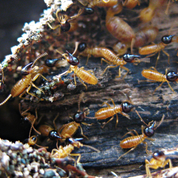 Though we have the ability to eliminate pests of all kinds and species, we are specialised in termite inspections and treatment. With years of experience in pest control industry, our experts will determine the right termite treatments and address the problems quickly and effectively. We will strive to ensure that you get the results that guarantee safety of your family and property. Need pest control in Bundoora? 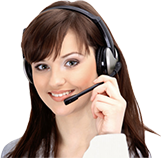 Don’t hesitate to give us a call at 0413716233!